Looking for something interesting to buy for your 2018? Evolve your musical instincts into talents of percussion instruments and take a glimpse of these drum sets in a variety of components. Generally, a drum set is a collection of percussion instruments played by a single individual using the pair of sticks and simultaneously creating beats with the pedal for the deep beats. 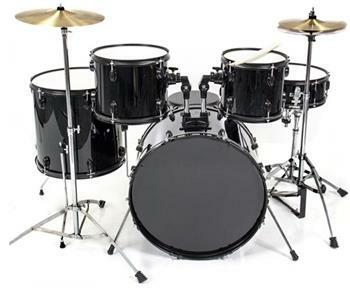 The typical set-up of a drum set includes bass drum, snare drum, floor tom, hanging tom, hi-hat cymbal, crash cymbal, ride cymbal and splash cymbal. Sometimes, the bands were also accompanying their music with a China cymbal for an aggressive heavy-metal music. Plan ahead your budget so you could purchase a quality percussion instrument from these respective brands namely Mendini by Cecilio, GP Percussion, Best Choice Products, Ludwig, Pearl, Sonor, Yamaha, Gammon Percussion, Gretsch Drums, Tama, Mapex, Pacific Drums, DD Journeyman, Pearl Decade and PDP. Mendini by Cecilio 13" 3 Check here! GP Percussion GP50BL 3 Check here! Best Choice Products 13″ Beginners 3 Check here! 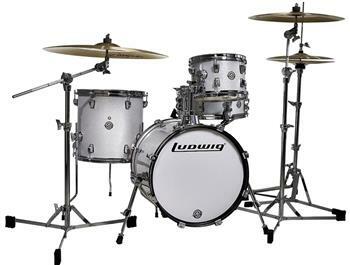 Ludwig LC179X028 4 Check here! 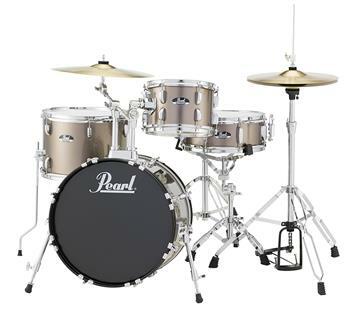 Pearl RS584CC707 4 Check here! 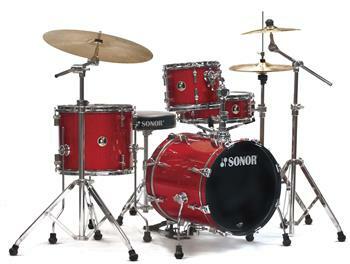 Sonor SSE 12 Safari C1 RGS 4 Check here! Yamaha Stage Custom Birch 5 Check here! Gammon Percussion BATTLEBK 5 Check here! Mendini by Cecilio 16" 5 Check here! Best Choice Products SKY1263 5 Check here! 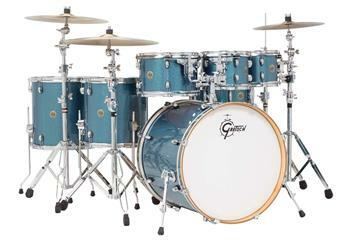 Gretsch Drums Catalina Maple CM1-E826P-AS 6 Check here! Tama IP62CCPM Imperialstar 6 Check here! MAPEX AR628SFUWT 6 Check here! 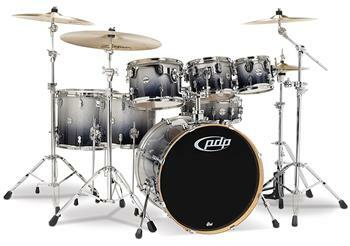 Pacific Drums PDCM2217SB 7 Check here! 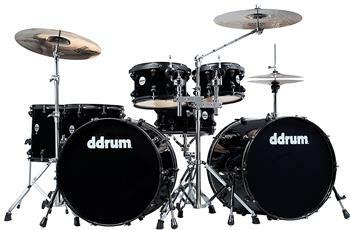 DDrum Journeyman JMDD722 MB 7 Check here! Pearl Decade DMP927SP/C229 7 Check here! PDP Double Drive 8 Check here! Enhance the potential of your child in his or her younger stage and improve this innate talent when it comes to the percussion instruments. 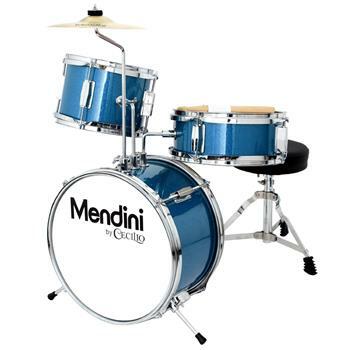 You may consider the best seller Mendini musical set by Cecilio that consist of Bass drum, mounted hanging tom, mounted snare, and splash cymbal. The bass is accompanied by a pedal to play foot beat patterns. This set also has an adjustable throne shaped in a round padded black top and steel legs. As part of the set, it also contains an instruction manual for the assembly and playing method. Of course, the pair of wooden sticks is automatically included in this kit. The percussion instruments were constructed using a genuine wood for their shells and secured with triple flanged stainless steel hoops. 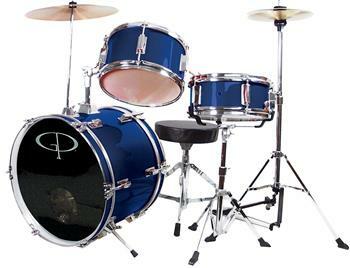 What’s more interesting in this package, it is a budget friendly kit for your aspiring drummer kid. Let your kid learn and explore the percussion music industry for his or her future career. As early as today, you may try to buy this GP Percussion musical kit which consists of a bass, hanging tom, snare drum, splash cymbal and hi-hat cymbal. This instrument set can render multiple beats and sharp tones due to the presence of the 2 cymbals. It is a good starter set to know the sound variations per musical accompaniment and be familiar with the sounds that each piece produce. The pedal, adjustable throne, manual, and wooden sticks were already automatically included in this set to furnish a complete percussion set for the kids. Moreover, the quality of materials used in each of this piece was authentic and synthetic which makes them durable and reliable to use such as the heads, shells, and cymbals. The price is a bit higher than the first product reviewed but the outstanding features and additional cymbal will compensate for the good package price of this product. Surprise your kids with this musical kit applicable for 3 years old and up to start their musical career in terms of percussion instruments. Generally, this percussion set contains bass, mounted hanging tom, mounted snare, and splash cymbal for a complete beating performance. In addition, the shells were built using a genuine wood construction and the hardware is coated with chrome-plate. As to its appearance, it is attractive and made of premium quality. The shells look lustrous which entails a professional look to this musical instruments. Of course, the sounds produce by these musical instruments were also astonishing, deep, clear, and sharp. It is a perfect percussion instrument for your kids at a very affordable price and your children will definitely enjoy striking the heads with the wooden sticks until they learn to compose their own beats. As extra accessories and stuff, this musical set has already an adjustable throne, wooden sticks, pedal, and instructional manual for the assembly and tones of the percussion instrument. Perform your beats, tempo, and style with this percussion set that comes in 4 pieces of musical accompaniments namely bass, snare drum, hanging toms, and floor toms. When you’re residing in an apartment, the size of this musical set fit in your area. It can also be set-up for street style live music band. Moreover, it features a 45-degree bearing edge, mobile design, compact, lifted bass drum, and contains a velvet storage bags for every piece and spare parts. The heads were made using Remo and these percussion instruments can produce impactful, loud, and deep bass tones. Looking at its appearance, the entire percussion set was elegant as to its color and really defines quality-made percussions. It’s a worthy investment to try for a 4 piece set of musical components. Perform rock and heavy-metal music with this student and beginner set of musical components with outstanding quality and sound variations. The shells of this percussion instrument were made from 9 ply White Poplar 7mm shells and 1.2 mm triple flanged hoops. It contains a 50 Series Double-braced cymbal, hybrid hi-hat, and snare stands for a more comfortable position to play. In addition, the snare drum was constructed using a matching wood shell. Generally, these percussion instruments were finished with covered wrapped and Jazz style. To fully equip the perfect percussion set, it has also a stick bag, welcome pack, drum sticks, poster, manual, adjustable stands, and professional featured pedal, and double-braced reinforced hardware, and adjustable throne. Start building your musical career path today and get familiar with the different beats, tempo, rhythm, and bass tones using this Pearl percussion instrument at an incredibly affordable price. Play live performances and unleash your talent with this best musical instrument set. Technically, it contains a bass drum, snare drum, floor tom, and hanging tom which promised you with the commitment by Sonor to provide outstanding sound quality. It artistically protrudes spectacular range of tones for a sonically pleasing resonance and deep sounds. In addition, the shells of this percussion instrument were built with basswood for superb stiffness and cross-laminated features to make the beating tones project in an impact and professional way. This percussion set also contains safe tuning lugs to adjust the tonal variations. As the signature feature of the Sonor, this percussion set was built with 45 degrees bearing edge. Furthermore, the pedal comes with a riser to properly position the foot onto the pedal. 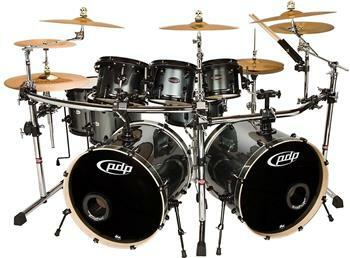 It’s a little bit pricey than the rest of the products mentioned for a 4 piece drum set yet the quality and compactness of this musical instruments were astounding hence, it deserves to have a reasonable price to market for. 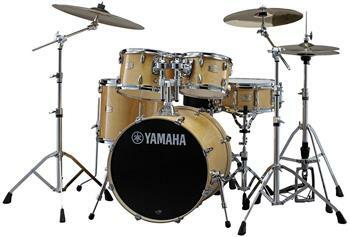 Listen to the authentic beat of the drums when you purchased the Yamaha Stage Custom Birch series. This percussion instrument can be applicable for both working professional and beginners who have a deep passion for the art of percussion music. Accordingly, this musical set contains a bass kick, rack tom, floor tom, and snare drum. The Yamaha employs 100% Birch material to its musical instruments and inspired by the realm of high-class musical instrument kits. As you can see in the shells and surfaces of the drums, they were built with 6 ply structure, high-gloss lacquer finish, and protrude sounds and vibrations in an impact. The Birch shells influenced the sounds of the percussion instruments creating a punchy tone accompanied with a maximum rumble. The YESS mounting system provides an increase resonance and sustainability while the die-cast claw hooks have rubber insertion plates that can reduce the noise when striking the head. Moreover, it is easy to set-up as well as prevent the drums from slipping. In addition, this percussion instrument was improved with Yamaha Enhanced Sustain System that offers a better quality support for the overall performance of the musical instrument since it is infused with 780 series hardware and improves the sound resonance. It has also ball mounts and clamps designed with buffered resin to reduce the rattling. The features of this set were sufficient enough to compensate for its standard price. Gear up your musical room with this awesome Gammon Percussion that comes with lug bass, wooden snare, mounted toms, floor toms, hi-hat cymbals, and crash cymbals. 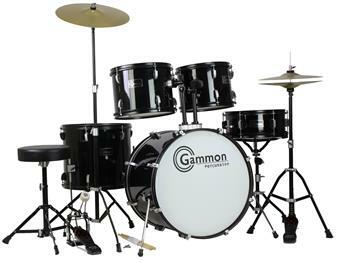 This is a product intended for adults but if you wish to purchase a gift for your kids, you may also avail the Gammon Percussion 5-Piece Junior Starter Drum Kit with similar features and components as well. This is absolutely a budget friendly 5 piece percussion set especially for those aspiring drummers that would want to pursue their percussionist music. It is easy to set-up and the quality of the sounds can be applicable for rock, jazz, and acoustic type of music. You can perform slowly to fast tempo depending on the beat and rhythm of your music. Exploit the potential of your children by making them active with the musical instruments. 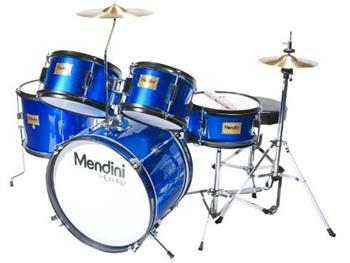 You may try this Mendini by Cecilio percussion set that contains bass, mounted toms, matching snare drum, floor drum, hi-hat cymbals, and crash cymbals all-in-one musical instrument kit. This junior set musical instrument is a quality percussion designed for entry level drummers. You can practice and familiarize yourself with this percussion kit so that you’ll have a wider idea on how to have a hands-on play with this instrument. Moreover, it is the cheapest among these 5 piece musical set and it contains adjustable height round the padded throne, a pair of wooden sticks, instruction manual, and pedal for a complete accessory pack. This percussion set is made with specifications designed to work well with beginners because of its value for money and performance. Despite its affordability, the quality is ensured in every part which is absolutely undeniable in its attractive black color with glossy finish. 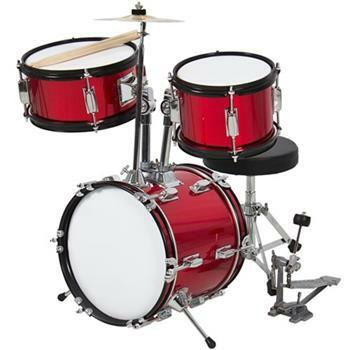 The set contains extra accessories such as a pair of wooden sticks, adjustable chair, cymbals and bass drum pedals. In addition, Best Choice Products offers musical instruments built with chrome plated hardware and sturdy shells in a silver color. There are many high-quality brands out there where you can literally purchase a big set for less than $1,000. Some people have bigger budget such as $1,500 or more. But if your budget is between $600-$800, there are still excellent options for you. Acquire a Gretsch Catalina Maple series for your dreamed percussion set. It incorporates sleek hardware and innovative designs to enhance the pro-level percussion skills. Each musical instruments were engineered towards a professional functionality, style, and performance. The percussion sets were built with 7 ply maple, natural interiors, 2.3 mm triple flanged hoops, and 30-degree bearing edges for the shells. Specifically, the bass drums contain telescopic spurs to match with the maple wood bass drum hoops. In addition, the percussion instruments were fitted with Remo heads, coated batters, and muffle ring for clear resonance. What will you get in this set? For the additional features of this musical instrument package, you’ll get new Gretsch mounted plate, new low-profile Gretsch tom bracket, T-wing wingnut, round Catalina maple badge, new tom holder design with cymbal holder, bass claw with gasket, and new low-profile GTS. Overall, this percussion instrument can be applicable for both Rock and acoustic style of music. It is really pricey yet the quality and extra accessories that it offers already compensated the value over the price. In some seasonal sale, the Gretsch Drums also provides a free 7” x 8” Rack tom so it’s really a great discount if you can able to avail this sale event. 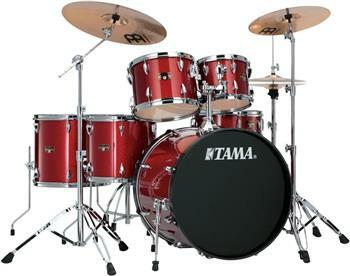 Tama offers imperial star quality musical kit that comprises of the bass, mounted toms, and floor toms. They incorporate innovation to their new smaller lugs compared to their former swing star series hence, these lugs can protrude greater resonance. When it comes to the hoops, these were technically built with Accu-Tune that uses tension bolts instead of T-rods and claw hooks. Its construction makes the hoops more hi-tech, agile, and lightweight hence, it is definitely stable when it comes to tuning rather the traditional hoops. Furthermore, the Omni spheres and L-rod tom holder systems received acclaimed from the professional drummers for over 25 years now thus, Tama is really a fortifying and reliable choice of brand. These holder systems exhibit flexibility, easy positioning, and stability for a secure stand and sound. The eye bolt structure firmly grasps the toms in place. In addition, the imperial star hardware was inspired by their Roadpro series for a high-end influence. The major edge of Tama among its competitors is the Ready-to-Rock trademark in which this package have already accompanied HCS genuine cymbals unlike the other brands wherein cymbals and hardware were sold separately. Experience Mapex’ Sonic Learing Edge which concentrates on the playing time rather tuning time hence, it protrudes a great resonance and sounds with lesser chances of adjusting the tune. Specifically, this Sonic technology increases the connection between the head and shell hence, it allows the head to sit flat on the edge to have a centered pitch and easy to tune drums. This also helps the shell to produce vibration to create tonal nuances due to the prominence of the variety of shell materials used. The percussion sets of Mapex were infused with Armory Hybrid Shell that results to increase projection and brilliance for the rack toms while darker and fatter punch when it comes to the bass drum and floor toms. As Mike Robinson, Director of Marketing for KHS America, said, “The manufacturers did not focus on the importance of the bearing edges over the years. Specifically, the players had difficult times in tuning their drums since the apex of the edge is distant from the outside of the shell and the former cannot sit flat on the latter. That frustration can lead to a lack of enjoyment thus, less time in playing”. In this case, Mapex pursues their breakthroughs as to the relationship of the head and shell whereas they innovated the Sonic Lear Rack Tom Suspension System to increase the overall resonance by preventing the loss of energy which makes the drum’s sounds choked and preserve the vibrations created by the shell and head. In this way, the players will be a lot more excited to perform using these percussion instruments since no need to spend a lot of time in tuning the percussion instruments. Moreover, these musical sets were made with 6 ply maple birch to accentuate their quality and better sound system. The price is relatively reasonable due to its technology and trademark used for preserving an outstanding sound system inculcated in their percussion sets. Work out your percussion talent with the overwhelming specifications of this percussion set that comes with a bass, mounted hanging toms, floor tom, and snare drum. 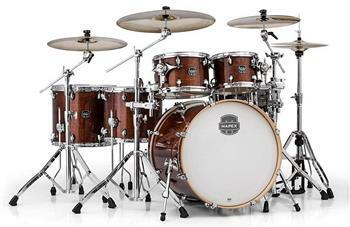 Pacific Drums have designed these musical accompaniments with a new fresh look that contemplates a concept of birch or maple shells to keep pace with the modern and popular instruments today. They built custom-style kit to fit in everybody’s musical style and genres. To highlight some of its major features, it includes a true pitch tension rods, proportionate graduated counter hoops, durable lacquer finishes, suspension tom mounts, MAG throw-off, concept series of new PDP lines, and claw hooks with die cast and low-mass highlights. All shells were built using a 7 ply wood construction while 10-ply solely for the snare drum. In addition, the snare drum contains a boutique style copper wires and DW MAG throw-off. On the other hand, the bass encompasses a retro-style dual-turret tube lug and die-cast claw hooks. It might cost much than the typical price but you will get what exactly that you wanted using this percussion instrument set. If you are looking for – $1500. Amplify your music by beating these musical instruments with passion and professionalism. You’ll get a set comprises of a bass, snare drum, rack toms, and floor toms so that you can produce beat variations and rhythm. The hardware of the drums was coated with black powder to enhance durability, security, and style. It also consists of die-cast hybrid claws and lugs for a great tuning experience. This might be the most expensive among the products mentioned in here but the quality in protruding the appropriate beats, tempo, and rhythm can be achieved with this percussion instrument. 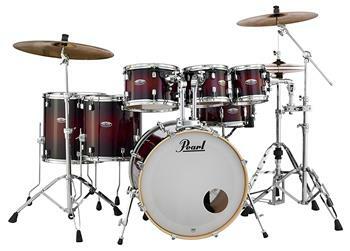 Get in touch with this amazing percussion set provided by the Pearl. It is the most affordable 7 piece musical kit among the musical instruments mentioned here. Looking for a gorgeous lacquer finish? Check. How about the Opt-Loc Mounting system? Check. It’s a good price to deal with since it has already a full package of the bass drum, floor toms, suspended toms, and snare drum. Moreover, the shells were created with 6 ply 5 mm maple SST and the tom’s holder has uni-lock gearless arms. Head start your musical career with this instrument set so that you can have greater chances of familiarizing the percussion music and understanding many tonal variations when it comes to drums. Surround your musical studio with this amazing gray metal double drive 8 piece musical set with 2 configuration drums, 1 snare drum, 3 hanging toms, and 2 floor toms in order to perform the best beats and fast tempo rock and roll music. This is practically a great set to buy for since it has already at least two drum pieces per kind for its luxury price. Furthermore, the shells were built with Poplar material and it contains a 45-degree reinforcement ring. The hardware was constructed with steel and mounted. Last but the not the least, the hoops were suspended and features triple flanged lugs. Well, you may run out of cymbals with this percussion set but it’s alright since the product speaks for itself as to its price. Exposure to musical instruments is an inclination to learn something new, unique, and awesome. Music will not become lively, sharp, and powerful without the presence of rhythm, beats, and tempo which means, you should carefully select the best drum set that can help you reveal your talents and harness your skills so you can use it for your future career. What are the features that you should consider when you shop and purchase percussion instruments? Most drums were constructed using an authentic wood specifically maple wood, basswood, birch, or popular for durable and compact features of the musical instrument. Some manufacturers were using 4 ply up to 9 ply wooden structure to make the instrument protrude best sound quality and reverberating vibrations that make the music impactful. When it comes to the color, the drums are usually coated with metallic, chrome, or sparkling complexion to make the instrument look appealing, sleek, and edgy as to its appearance. Check the quantities of hardware components if you want to purchase a complete musical equipment. Some package deals products do not have cymbals in their set and these instruments were sold separately. 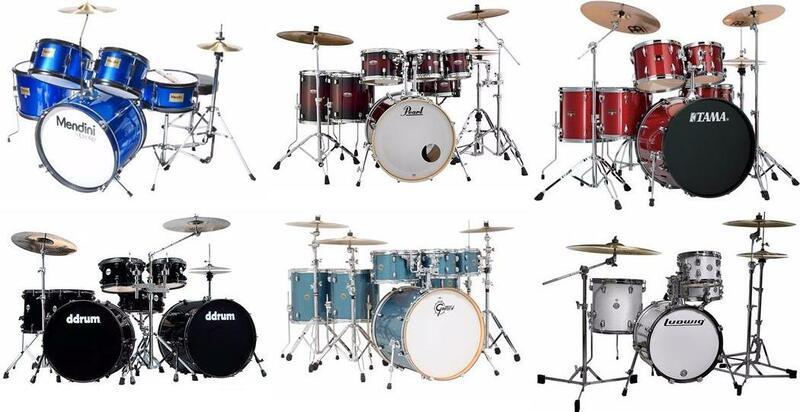 Well, it depends on the quality of the brand that you will choose in selecting for a drum set with cymbals. However, you have to guarantee that when you buy a package deal percussion instruments, you should verify whether the cymbals included have good qualities otherwise you will purchase again in the future for cymbals. In addition, you should look for a set that contains a 30 to 45-degree reinforcement rings for easy assembly and installation. Make sure that you have a drum key, tuning lugs, and bass pedal to help you as a player, manage the beat, pitch, rhythm, and sound of the music. Familiarize yourself with the sounds of the drums so that you will be able to distinguish which brand can provide you the best resonance for your music style. As much as possible, typical drums would give you a deep, lively, and powerful sounds whenever you strike them with the wooden sticks. On the other hand, the sounds produce by the cymbals will create a blending effect with the percussions to define a crisp, sharp, high pitch and edgy tune. Look for a musical set that has it all but it will never sacrifice the quality of each component. Generally, a complete percussion instrument set will have the bass drum, snare drum, hanging toms, and floor toms. It may or may not include cymbals depending on the specifications of the product package deal. However, it should have additional accessories just like a pair of wooden sticks, instructional manual, adjustment height padded chair or throne, bass pedal, and stainless steel stands. Sometimes, you may spot a seasonal sale whereas they offer a free drum or cymbals when you buy the entire set.